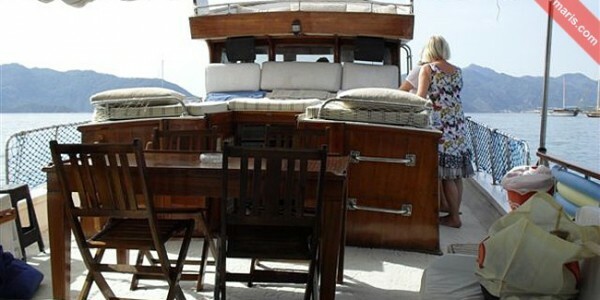 We can arrange exclusive and Private Boat Trips around Marmaris just for you. 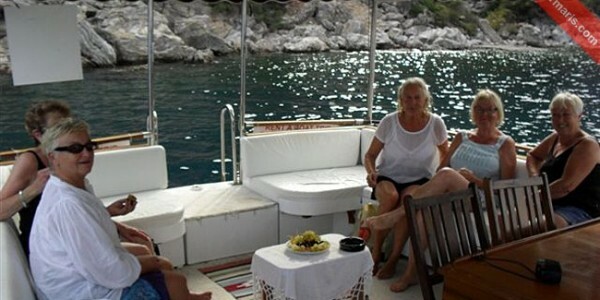 We make all arrangements to ensure that you enjoy this full day Private Boat Trip to the most. 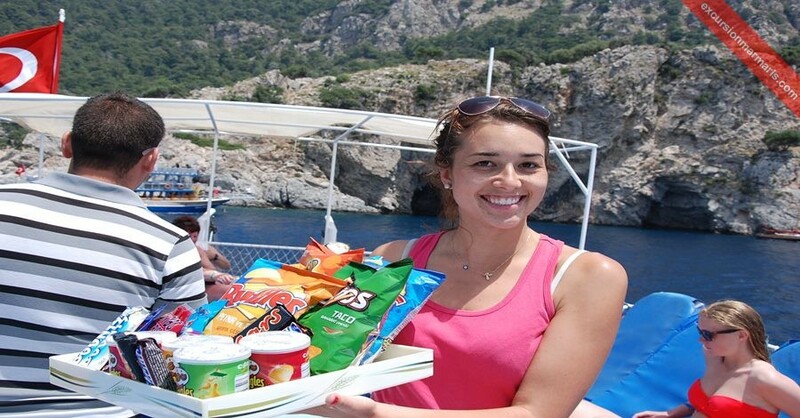 We can arrange these exclusive boat trips on most days of the year. 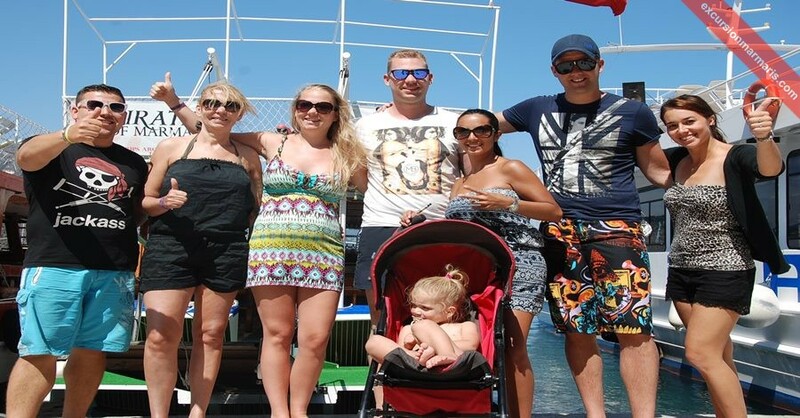 Our boats are well-equipped with facilities such as sun-beds, masks, toilets and also have a well-stocked bar with most of the drinks! Our Marmaris Private Boat Trips are great opportunities to enjoy with your friends and family. 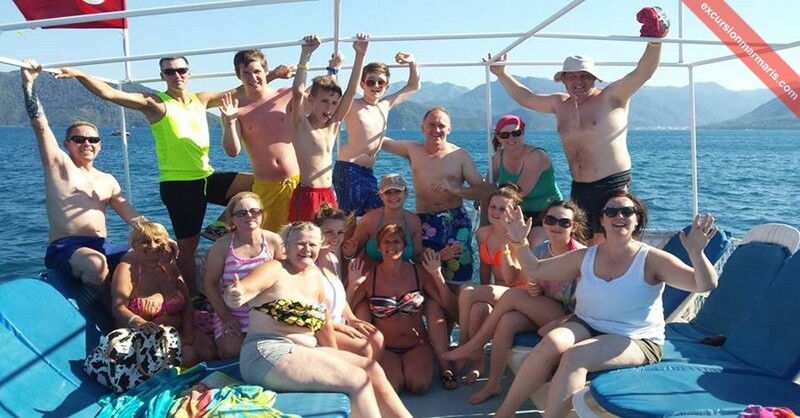 You need not worry about the cost of the trip; our costs are fair and are evenly distributed among the group involved in such a tour. 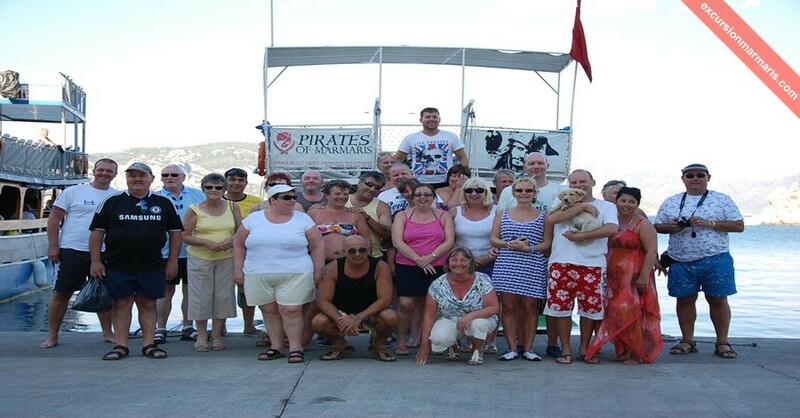 The tour costs are calculated on the basis of number of people joining our tour, the food and refreshments you choose, transfers and other on-demand services that you may require. 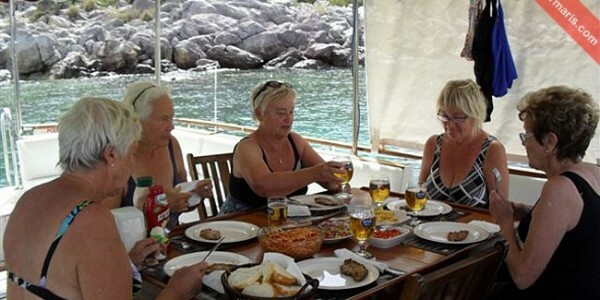 You are free to plan the tour itinerary, choose the places to visit and also select your type of food to eat. 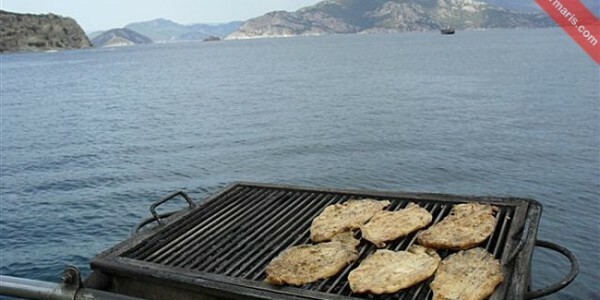 Whether you prefer vegetarian or halal food, we can arrange for your preferred food once you let us know in advance. 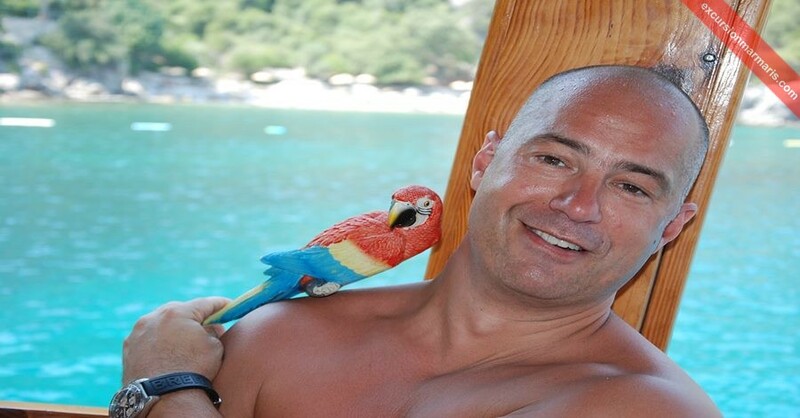 You can recommend stops in between and spend more time at places you love most. 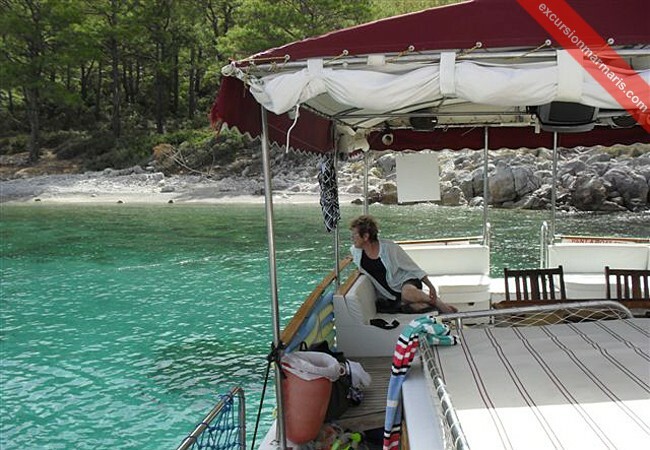 As our boats move from Marmaris, you will find a lot of natural scenery to watch and click among the most picturesque bays you will ever find. 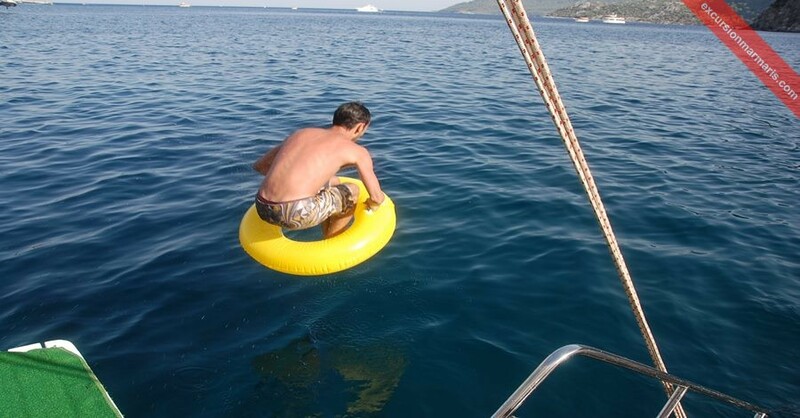 Though you are within a short distance from Marmaris, you can experience several of the breathtaking scenes among the clear waters of the Aegean Sea. 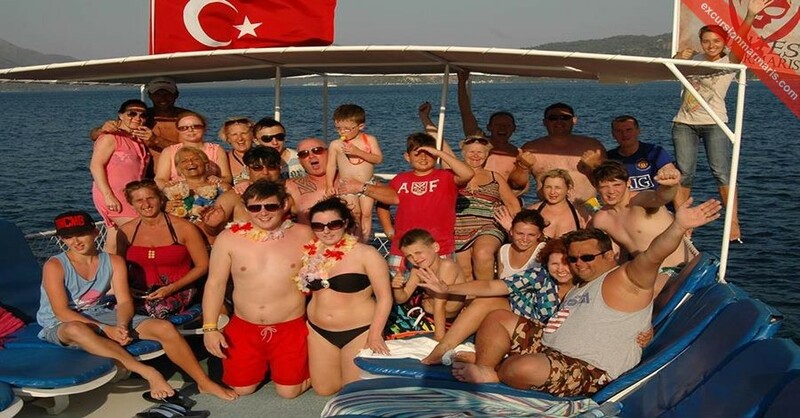 If you are on a vacation with your group, Marmaris Private Boat Trip is an excellent way to go out in the sea and enjoy activities that you love to perform in your leisure time. You can even plan to celebrate your special occasions such as anniversaries, birthdays, or simply arrange to enjoy some special time with your friends and family. Fill your memory with happy incidents and relish them long after you have gone back home! 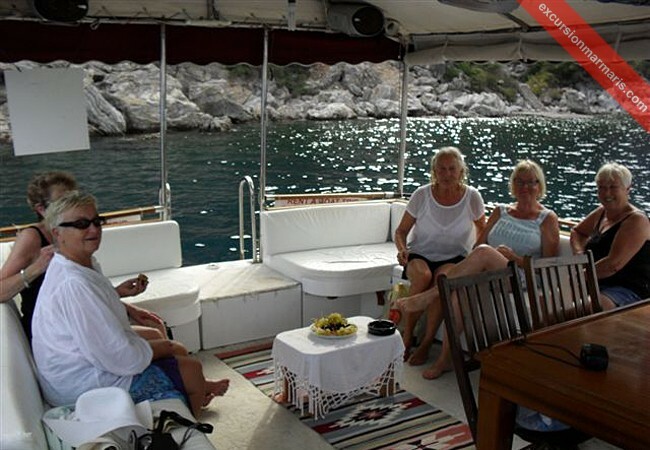 We can arrange for you to spend the best of your time at Marmaris once you let us know your tour itinerary, number of people joining our tour and such other details. 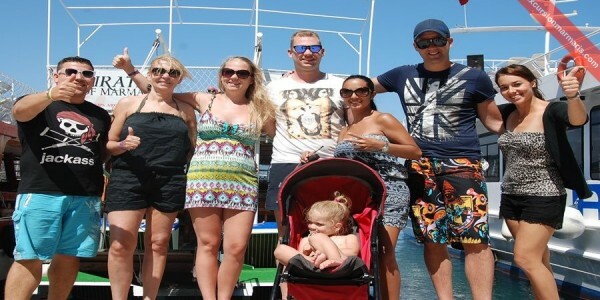 Don’t Forget: Sun cream, Sun glasses, Camera, Swimsuits, Towels, Hat. 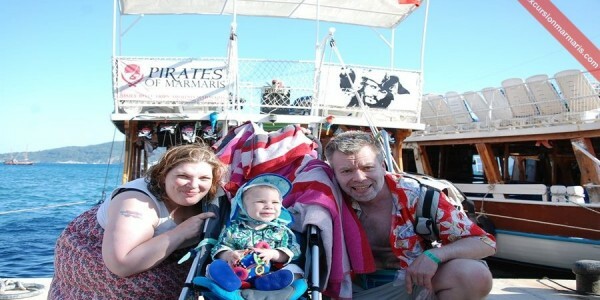 Restrictions: Suitable For Every Age Group. 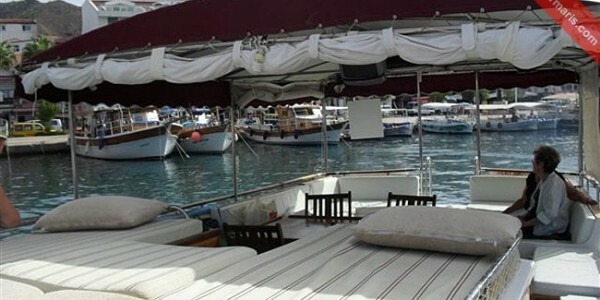 Our Marmaris Private Boat Trip include convenient transfers as well. 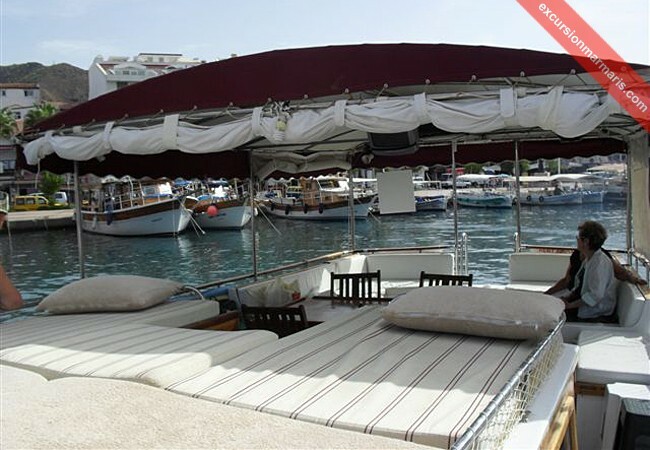 We will arrange to pick you from your hotel in Marmaris, İcmeler or Turunc at 9:00 am and leave you back to your place around 5:30 pm. 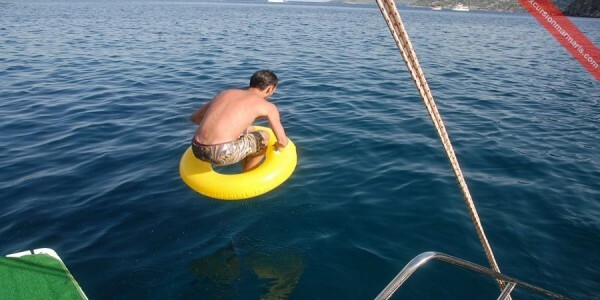 Our boats are well-equipped with all the facilities you need onboard. 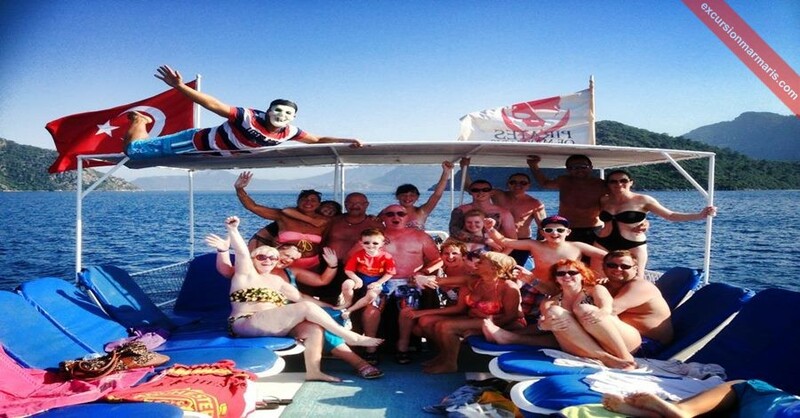 You will find sun-beds, toilets, masks and other equipment for swimming and snorkeling, we also have a well-stocked bar! 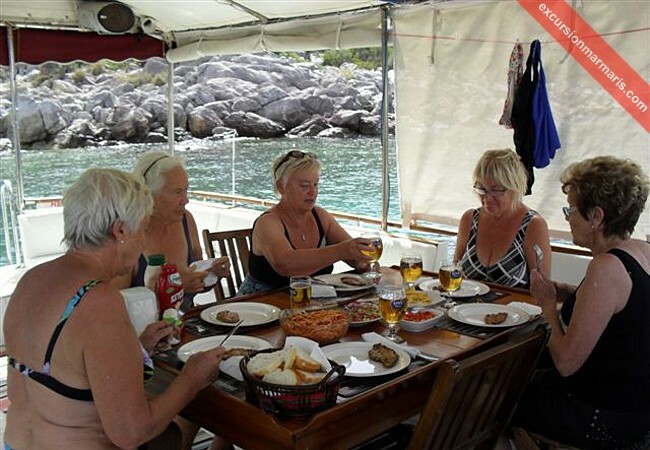 Within our private tour, you are free to plan the trip itinerary. 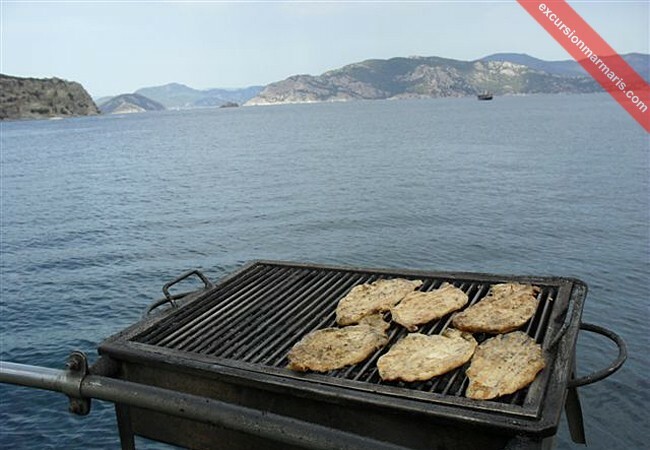 As visitors you can choose the places you would like to take a swimming break, select your food type; choose places to spend your time, etc. 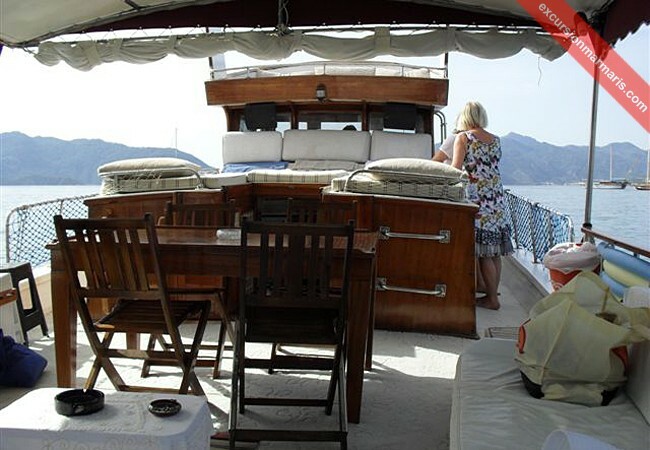 When you hire a private boat in Marmaris you can plan your own itinerary. 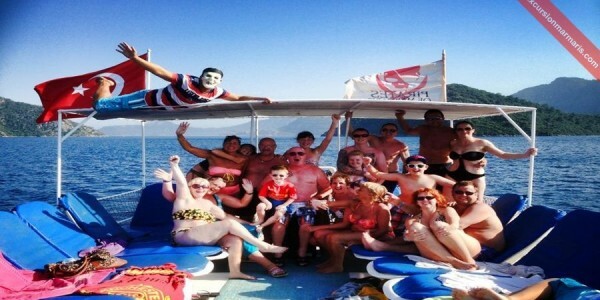 Please fill up the form and send us the details , according the your date , number of the people and service options, we will offer you the best prices .